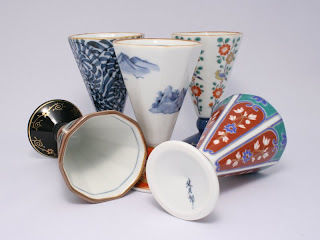 Japanese Hand Craft owner blog: Why 5 pieces set in Japan? 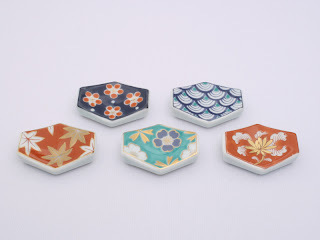 Why 5 pieces set in Japan? 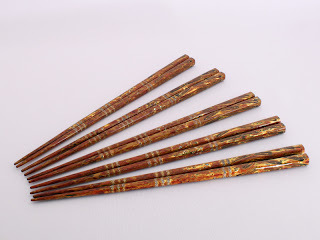 I got a question from my customer why most Japanese wares are in 5 pieces? I investigated it and found three reasons as follows. 2. 4 is considered a bad luck number and is connected with “death”. 3. Asymmetrical is good in a tea ceremony. 3 and 5 is better than 4 and 6. In China, a table is set to mark the 4 points of the compass. They believe it is good luck. 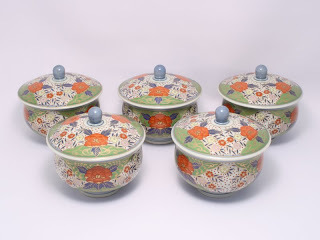 Therefore, Chinese ware comes in a set of 4. It was an interesting story for me. I appreciated my customer giving me a chance to investigate. isn't feb 2nd setsubun no hi? So what happens if you break one teacup in a set of five? Do you break one more to get 3? Or throw out the whole set? Indra: Hello to you too! sparris: Get another whole set. The new one will be used for guests and the old one will be used for daily use. Does this set always go in five pieces? Is the number significant or it has some meaning with it.